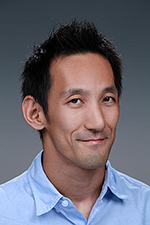 Congratulations to Dr. Koichi Sakaguchi, postdoctoral fellow in atmospheric science at Pacific Northwest National Laboratory. He was among 10 reviewers to receive a 2017 Advances in Atmospheric Sciences (AAS) Editor's Award. Sakaguchi received the award for consistently thoughtful and constructive comments that contributed to the overall quality of the submitted manuscripts. The AAS editors and editorial office recommend final awards to the editors-in-chief. AAS, a monthly journal, publishes scientific peer-reviewed papers on the dynamics, physics, and chemistry of the atmosphere and ocean. It also covers atmospheric science achievements and developments. Sakaguchi received his PhD in hydrometeorology from the University of Arizona in 2013. He joined PNNL as a postdoc in July 2013. His work has appeared in publications such as Environmental Research Letters, Journal of Advances in Modeling Earth Systems, Geoscientific Model Development, and Journal of Climate. He is a member of the American Geophysical Union, American Meteorological Society, and Meteorological Society of Japan.